Learn to recognize the beginners at your tables, and pursue winning strategies when involved in hands against them. When Matt Damon isn’t stuck on Mars, he has been known to frequent the poker tables, as he memorably did as Mike McDermott in the poker cult-classic Rounders. His line quoted above is one of several familiar pieces of strategy advice in the film. But how do you go about spotting the “sucker”? Or, to put it a nicer way, how do you recognize the beginner at your table? I like to put beginners into two categories — the competent beginner, and the amateur beginner. Let’s start with the first one. The characteristics of the competent beginner are easy to spot. Simply grab an entry-level poker strategy book, read the first few chapters, and spot which players at your table best fit the play outlined in the book. I’m referring to things like consistent bet-sizing, tight hand ranges, being very quiet, and really attempting to take their game seriously. You might say all of these things may mean that this person is a decent poker player. Yes and no. Such players will generally play a stronger range of hands than other players will, and when they bet, the vast majority of time they are betting for value. However, this consistency makes it easier to play against such players. If these players bet and you don’t have a strong hand, then fold. If they check, you bet. Obviously sometimes it’s not as simple as that, but that is a good start for playing against a competent beginner. Moving over to amateur beginners, obviously a player asking a question like “So does a flush beat a straight?” is a bit of a giveaway. Other comments like “I would have won if I had played my -offsuit” might be less immediately obvious, but are still telling. I’m referring here to players who have never seen a poker book, let alone read one. They’re the maniacs, the whales — players who will play any hand for the sheer hell of it. There are other ways such players tend to identify themselves. 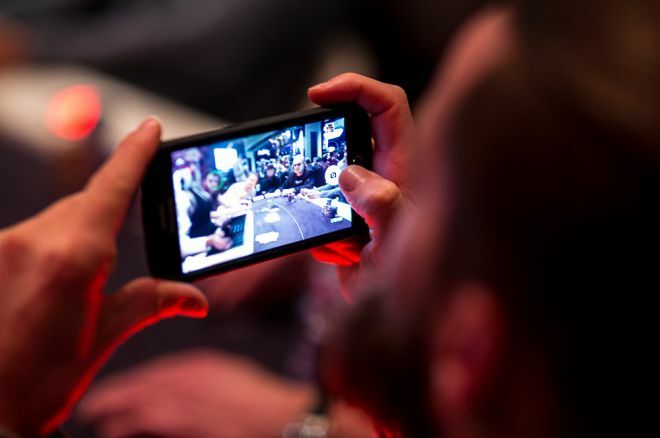 They may be too eager to show their strong hands or their bluffs to the players at the table. Or they may be very scared of their good hand being beaten and bet large early in the hand. I encountered an example of this type of player in a recent tournament. Blinds were 100/200 and I was UTG with . A high percentage of pots had been limped ones, so I felt comfortable just limping with my small pocket pair. The player two places to my left then min-raised. When a beginner raises, especially at a table where limping is ever-present, I’m inclined to pay closer attention. Two more players called the raise, and so did I. 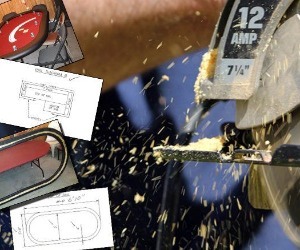 How Do You Build Your Own Poker Table? You can build your DIY poker table with just some plywood, foam, and felt. But it's not as easy as that; there's more to it. Building your own poker table encompasses a lot, so read this before you get going, as we bring you the do-it-yourself guide to building your own poker table. The board came ace-high with no five, so I wasn’t inclined to go much further in the hand and checked. The preflop raiser then bet 1,500 or roughly the size of the pot. This was an aggressive line, and after the two other players folded and I was the only remaining player in the hand, I had a prime opportunity to test my reading skills. I knew they were strong, so I folded saying “Show the ace-jack!” He turned over aces. This refers back to what I was saying. First, amateur beginners are sometimes eager to show their strong hands, as this player did at my prompting. Furthermore, even with the strongest hand preflop that became even stronger on the flop, the player admitted he was scared of getting beaten, hence the pot-sized bet on the flop. Playing against this type of player is similar to the strategy we talked about for playing against the competent beginner. Sit back and wait for a strong hand, and exploit their weak play (that is when they don’t have aces!). A solid strategy, but you know that sometimes you will flop top set, and this opponent will unwittingly stumble into a backdoor straight, only realizing he has done so after a tablemate informs points it out. You will also encounter beginning players who lie somewhere in the middle between being somewhat competent or wholly amateurish. I think every player goes through a phase of really wanting to play well, but the thrill of the game is just too strong for some to be patient enough to improve. It’s just too darn boring to sit there and wait for hands when the blinds are creeping up and everyone else seems to be always involved in exciting hands. You may have to switch up your strategy at times against these beginning players, tightening up when they are wanting to get among the action, and then loosening again when they realize that they should tighten up their starting hand selection. However, once you start to notice both who the “sucker” (or beginner) is at your table and what type of beginner you’re dealing with, you can start to play back at such players a lot more effectively. Tommy Angelo Presents: Poker Nicknames Extravaganza!